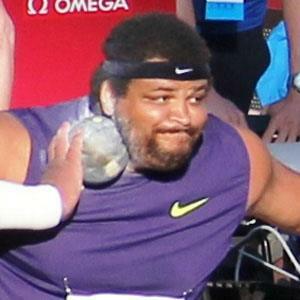 Shot-putter who made his Olympic debut in 2004, and won a bronze medal at the 2012 Olympics. He went to Lakeside High School, where he starred in shot-put, wrestling, football, and baseball. He won gold at the 2006 World Indoor Championships, and at the 2007 World Championships. He married Renata Hoffa during his career. He was part of a 2012 USA Olympic Field team that included Marquise Goodwin.